Aronimink 7B is located in popular downtown Ocean City & is very close to multiple restaurants & the boardwalk. This bayside condo is located on a canal and comes with a boat slip. Relax on the covered balcony and watch coastal birds while enjoying the salty sea breeze! Take a walk along the docks, visit the boardwalk & restaurants or gather in the living room for a family movie night. This condo is the perfect place for you and your family to call home for a week. Come stay at the Aronimink IV and make wonderful memories that will last you and your family a lifetime! This property does not allow pets or smoking. It does not rent to anyone under 25. Aronimink IV 7B comes with following features and amenities: central air conditioning, free wifi internet, stack washer & dryer, 2 bathrooms, refrigerator, 1 stove, dishwasher, microwave, coffee maker, toaster, 1 parking space, 2 TVs, cable TV, ceiling fan, balcony furniture, balcony facing north. 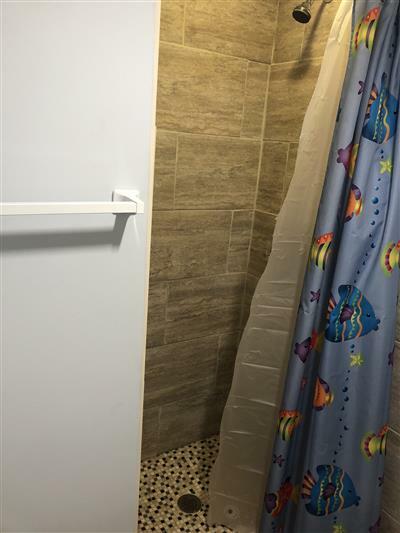 Aronimink IV building has outside foot shower among other amenities. I would like more information regarding this property at Aronimink IV 7B.